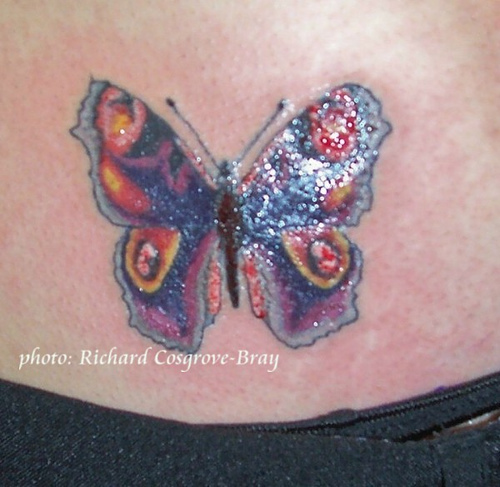 Richard Cosgrove-Bray began learning how to tattoo when he was aged only eleven. His studio in the heart of Liverpool's busy city centre has been established since 1993. Richie's studio is on the corner of Newington and Renshaw Street, close to Central Station and Lime Street Station in Liverpool. Richie is a professional artist, fully insured, and a certificate from the city's health inspector is displayed on studio wall. His library of traditional and contemporary tattoo designs runs into the thousands. Clients are invited to bring along designs of their own. Custom designs are welcomed, too. No appointments are necessary, which means that Saturdays are often hectic - so arrive early! The studio is open from Monday to Saturday, from approximately 11am to 5pm approx. No-one under the age of 18 is allowed in the studio. This includes babies and children - partially because they only get bored and start wailing, partially because this is an adult area, and partially because the studio is on the first floor, accessed only by a narrow twisty Georgian staircase. It is illegal in Britain for anyone under the age of 18 to be tattooed - and even if your mum or best mate or some bloke in a band says it's ok, that doesn't alter the law. Grumble to your MP if you like. Grumble to Richie, and he'll show you the door faster than you walked through it. If you're young, or look young, you will be asked to provide legal proof of your age. Richie in the street-level entrance to his studio. The building is also shared with a tailor. 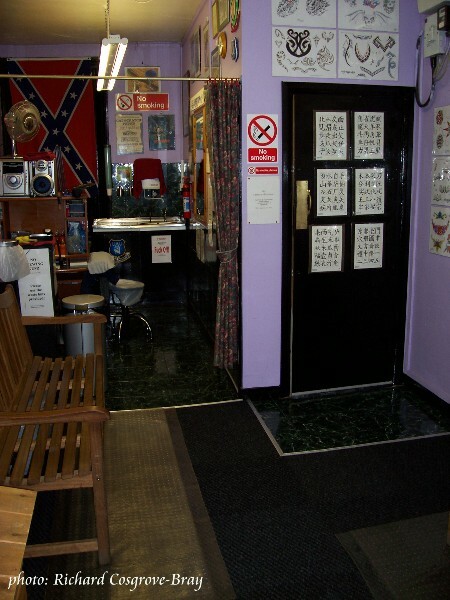 Richie Tattoo Artist's studio at 24 Newington, Liverpool. People decide to be tattooed for many reasons. 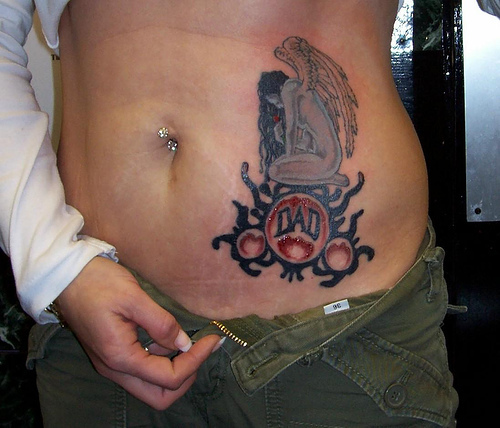 For some, it's a way of remembering a particular event, such as the birth of a child or the death of a loved one. They may wish to celebrate a favourite band or sports team, or to disguise scars. 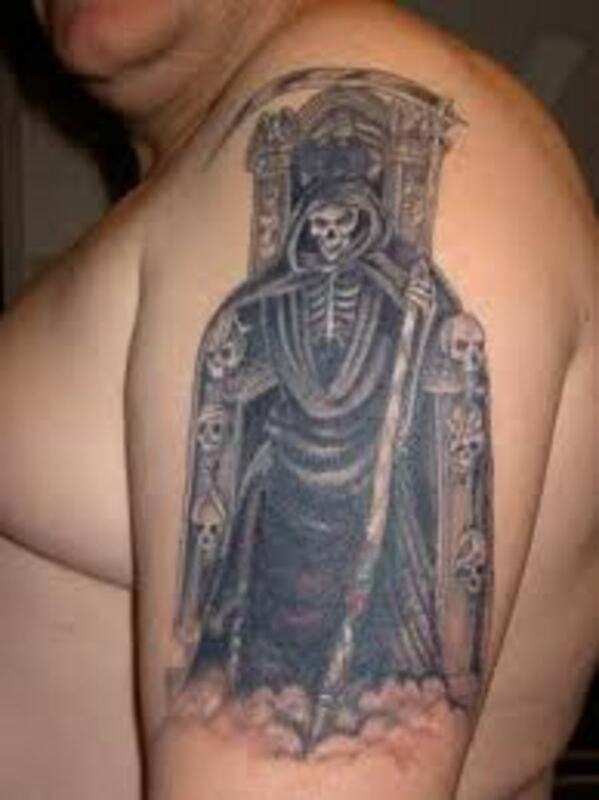 Other people view being tattooed as a rite of passage, or as a sign of their allegiance to a specific cultural tribe. Religious themes are not unusual, whether mainstream or otherwise. Still others view tattoos as a form of self-expression which modifies the physical body in a unique way which might be beautiful or not, depending on personal tastes. Forget out-dated stereotypes about which types of people are likely to be tattooed! There is no set type. Richard has tattooed soldiers, monks, MPs, famous musicians and footballers, housewives, legal secretaries, dog trainers, university professors, shop staff, nurses, pilots, actors, catwalk models... And the list goes on. 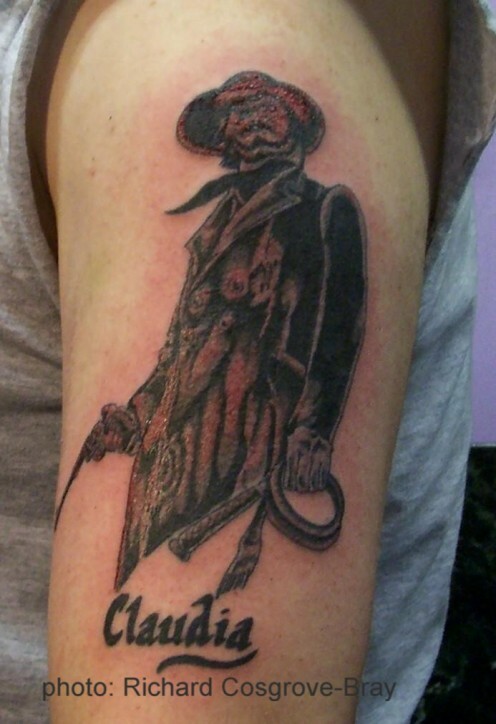 All sorts of people, from all walks of life, have tattoos. 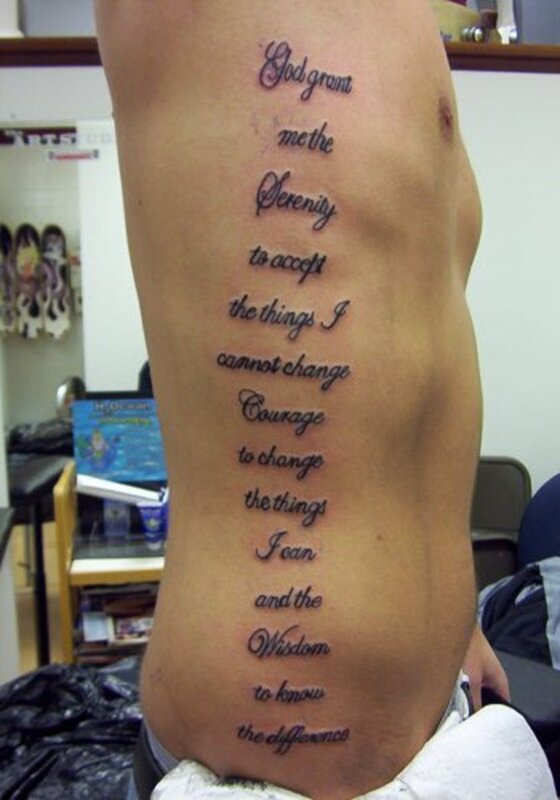 Choosing a tattoo should not be done in a hurry. You're going to have to live with your choice. 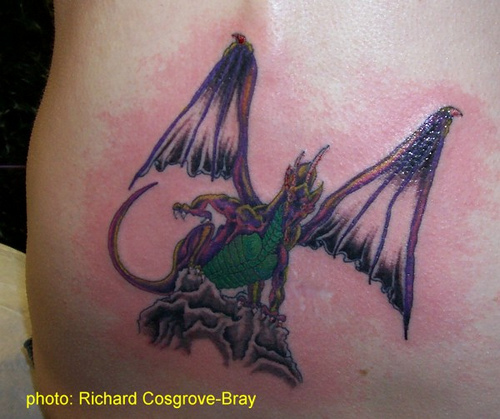 Lasers can remove the tattoo, but they're expensive and will leave a scar. Tattoos can usually be covered up with other, bigger tattoos - but it makes more sense to make the right choice for you in the first place. Select an image which means something to you personally. You're much less likely to grow tired of the image if you do this. Take the time to think carefully about your choice of design. Avoid gimmicks, like the name of your current lover or a new rock band, or witty images which might be cool today but which will look rather silly in thirty years time - or even next time you have to attend a job interview. Many people dislike tattoos and hold prejudices against people with them, and while fluffy psycho-babblers tweet about not judging by first impressions, most interviewees are apparently chosen within the first few seconds of entering the room. So opt for having your tattoo on a part of your body which can easily be covered, such as on the shoulder, hip, upper thigh or upper arm. 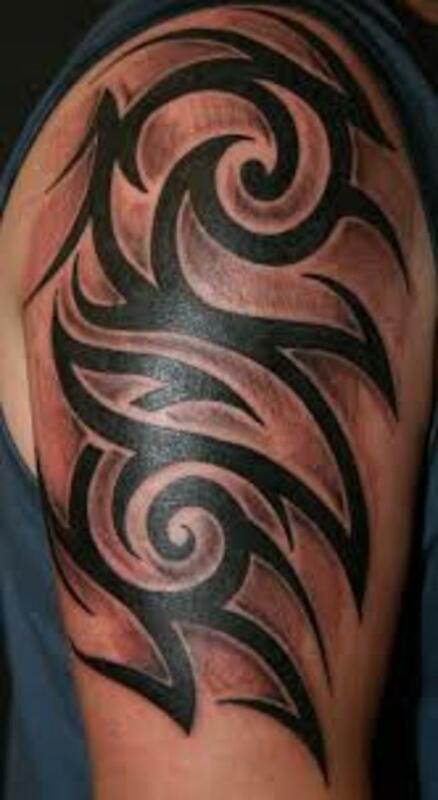 A good tattoo should enhance your look, not hinder it. Personal recommendation is the best way to find a reputable, skilled and experienced tattoo artist. Ask if the artist is insured. Look carefully at the studio. Is it clean? Is there an official hygiene certificate on display? Do they have an autoclave and a sharps box? Do they use different needles for each client? Can you see medical wipes, medical sprays and sterile gloves being used - and different ones for each client? If the artist objects to polite questions about hygiene, go somewhere else. Richard does not accept any apprentices. If you're interested in a career as a tattoo artist, then he recommends that you first take a business studies course. The art side of things is only one side of the business. You will need to know how to run a business, including book-keeping and admin skills. 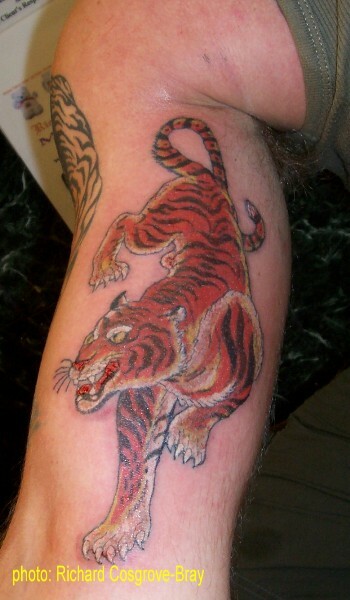 The practical aspects of running a tattoo studio do not differ from running any other business. Create your own ranges of designs. Regularly practise drawing from life. Develop a good working knowledge of colour, and which colours look good together and which don't. Develop skills with several kinds of shading with pencil and ink on paper. 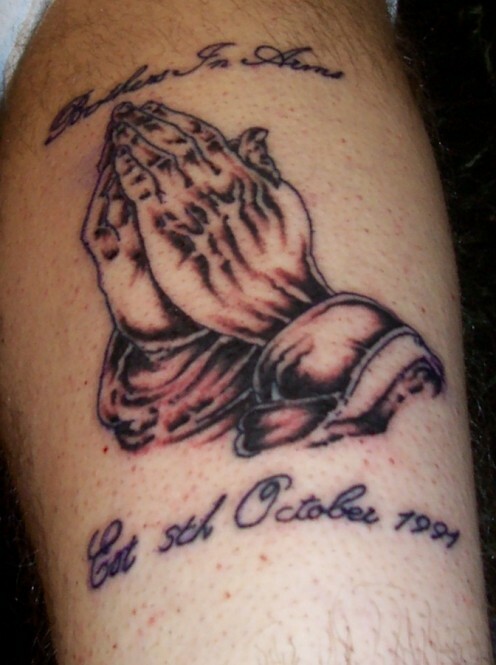 If you can't do this on paper, you certainly can't achieve this on human skin! 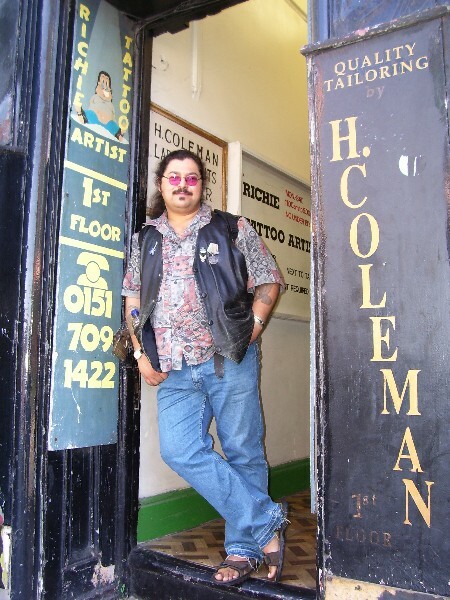 Richie's studio can be found at 1st Floor, 24 Newington (Off Renshaw Street, opposite Quiggens), Liverpool. The studio is five minutes walk from Liverpool Central Station and seven minutes walk from Lime Street Station. The studio is open from Monday to Saturday, from 11am to 5pm approx. If you look young, remember to bring legal ID to verify your age. You must be 18 or over to be tattooed, by Law. 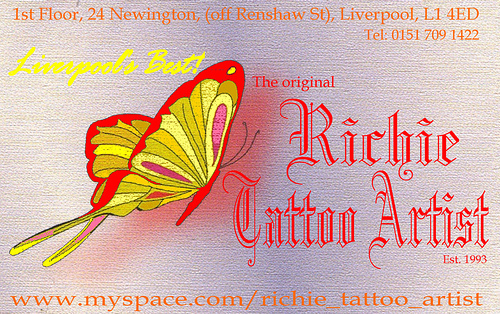 MySpace profile for Richie Tattoo Artist with many photographs of his work and studio, information about opening times and more. 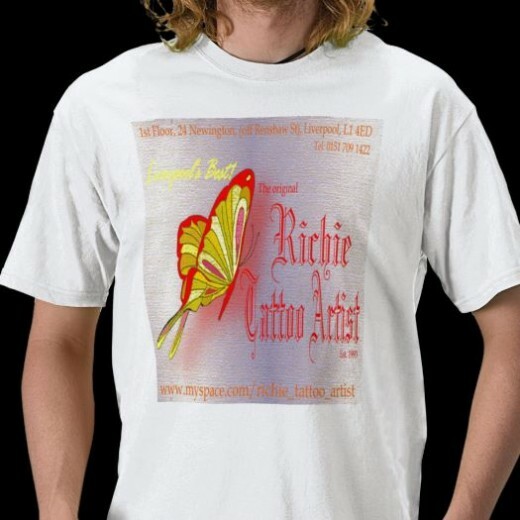 Discover exclusive Richie Tattoo Artist merchandise plus a huge range of unique gifts. Richard Cosgrove-Bray's photos depict a Liverpool which is fast disapearing. That would be your local Trading Standards board, in the UK. Other countries probably have an equivalent official body. Hello San, and thanks for your message. Richie has a huge range of tattoo designs available, including many Native American images of people, symbols and totemic animals. All you need to do is come into the studio and ask. Alternatively, you could browse the internet for a design which catches your eye, print it off and Richie will re-draw it for you.